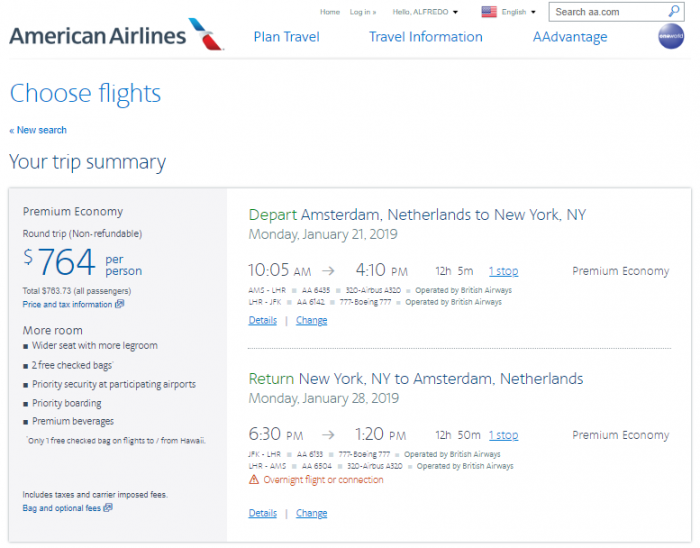 Today’s Airfare of the Day goes to American Airlines and their premium economy fares between Amsterdam and New York. Remember that you can always email me or send me a message via Facebook or Twitter with your airfare-related findings or questions. Price: from 670€ (352€ base fare + taxes & surcharges). Day/Time restrictions: do not apply. Seasonal restrictions: from Netherlands – permitted 29OCT 18 through 13DEC 18 or 31DEC 18 through 31MAR 19 for each transatlantic sector. 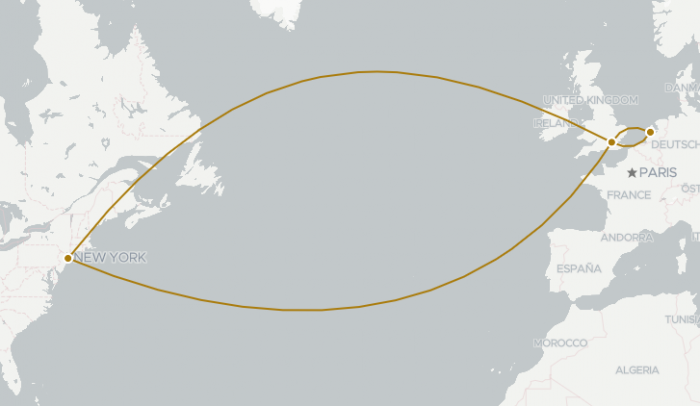 To Netherlands – permitted 30OCT 18 through 31DEC 18 or 09JAN 19 through 31MAR 19 for each transatlantic sector. Advanced reservation/Ticketing restrictions: reservations for all sectors are required at least 28 days before departure. Minimum stay requirements: until the first Sunday after departure. Maximum stay requirements: 3 months. Transfers: 2 transfers permitted in each direction free. Blackout dates: travel is not permitted 12DEC 18 through 26DEC 18 or 05APR 19 through 24APR 19. Travel restrictions: valid for travel commencing on/after 04OCT 18. Changes: charge 180.00€ for reissue/revalidation. The following accruals were estimated using wheretocredit calculator for AMS-LHR-JFK round trip travel on AA marketed, AA/BA operated flights without considering any elite status bonuses or ongoing promotions. Previous articleWhine Wednesday: Hotel Room Not Ready Past Official Check-In Time!